Applicants do not need prior experience to enroll, but once admitted, all students will complete a pre-course tutorial. As the programs are part-time, UC Davis Boot Camps are designed for working professionals and students who are actively pursuing a career change or advancement or looking to gain a new skill. Students will benefit from a wide range of career services to be positioned for success through graduation and beyond. Services include portfolio and homework reviews, resume and social media profile support, high-impact career events, workshops, mock interviews, one-on-one career coaching, and recruiting advice. Graduates will receive a certificate of completion from the UC Davis Division of Continuing and Professional Education and will have a portfolio of projects demonstrating a working knowledge of web development or data analytics, or a skill set applicable to certifications in cybersecurity. UC Davis Boot Camps are powered by Trilogy Education Services. - At the Cybersecurity Boot Camp, students get hands-on training in networking, systems, web technologies, databases, and defensive and offensive cybersecurity. You will also learn methods, techniques, and best practices for accurately conveying the severity of the risks facing an organization’s security posture. The Cybersecurity Bootcamp is a challenging, part-time program that takes a multidisciplinary approach to attaining proficiency in IT, networking, and modern information security, throughout the course of 24 intensive weeks. Course Report is excited to offer an exclusive UC Davis Boot Camps scholarship for $500 off tuition! Fill out the application below to submit this scholarship to UC Davis Boot Camps. By submitting, you acknowledge that your information will be shared with UC Davis Boot Camps. 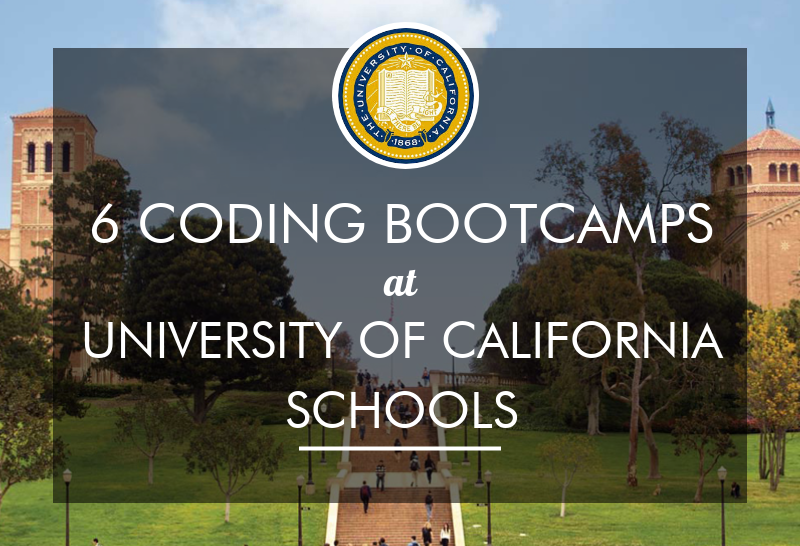 I really enjoyed being a part of the UC Davis Coding Bootcamp. The instructors were very helpful and kept the topics interesting. What i really liked about the cirruculum was that it kept you interested. The assignments weren't boring and the lectures made you want to learn more. I really appreciate the experience of meeting new people and seeing how far all the students gotten. I would definitely reccommend this to anyone who is interested in a coding career. Thanks for your review, Steve, and congratulations on graduating! We're glad you enjoyed the curriculum and interaction with your classmates, and that you were challenged by the assignments given throughout the course. We're cheering you on as you move forward in your career. My instructor, Nelly, was extremely enthusiastic and supportive of myself and every member of our cohort. The TAs were always helpful and consistent in their efforts to help make sure students understood lessons during and after each session. The material covered was dense, but manageable with consistent effort. What you put in is what you get out here. Every aspect of the bootcamp is geared towards your success and to prepare you for real-world work as a full-stack software engineer. I went from pretty much zero applicable programming experience to a full-time mid-level software position less than three months post-program graduation. I highly recommend this bootcamp to anyone interested in becoming a developer without years of schooling. Amazing, Ryan! We're happy to hear you enjoyed your student experience and felt supported by our instructional team — we also agree that Nelly is great. You're completely right that what you put in to the program is what you will get out, so we commend all your hard work. Congratulations on graduating and thank you for your review! We are rooting you on as you move forward in your new role. I took the Bootcamp from January to July of 2018. It was the first time it was being done at UC Davis. The course is run by Trilogy. I learned a ton during the course and refer back to what I learned often. My interactions with staff were positive. I knew going into the course that I wanted to be a Web Developer. It’s not the cheapest option to do a Bootcamp, but I liked the structured format and the chance to get—and give—help. After graduating, I had to do a lot of leg work and hustle to get my first job. But now I’m happily on the right path. Going through the course gave me the motivation to leave my old career and go into development full-time. We appreciate your review, Ben! We're thrilled you had a positive student experience and enjoyed the structured format. Congratulations on graduating and working hard to embark on your new career path! We wish you continued success in all your future endeavors. This is a great course to train and connect people to the web development world in Sacramento. I took this bootcamp as a student hoping to learn some coding before graduating college. I never thought I would be interested enough to consider a career in web development but after taking this course I would love a career in this field. Amazing, thank you for your review! We're thrilled our program opened a new career opportunity for you. We commend all your hard work thus far and wish you all the best as you move forward. The coding bootcamp was by far the most challenging thing I've ever done in my life. It took dedication, focus and constant work. It was definitely a test of my abilities and I doubted myself a lot, but I had an incredible teacher who was also my mentor, tutor and quickly became a close friend. The TAs were there for me when I needed help, classmates were great and now I have a job that I love in a field with so much potential to grow. I'd definitely reccomend a bootcamp for someone ready to start fresh on a new career path. Thank you for your review, Anonymous! We're thrilled you were continually supported by your instructor, TAs, and classmates. Congratulations on graduating and landing an exciting new role in the field! We wish you all the success in your future endeavors. An email with these details has been sent to UC Davis Boot Camps. You've already applied to this scholarship with UC Davis Boot Camps.